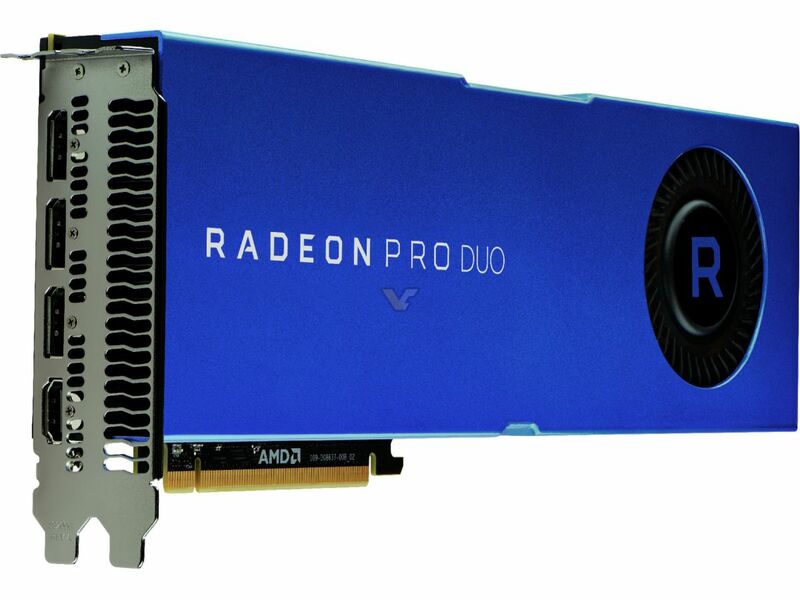 LAS VEGAS, NV — (Marketwired) — 04/24/17 — NAB SHOW 2017 – Today AMD (NASDAQ: AMD) announced the world’s first dual-GPU graphics card designed for professionals: the Polaris-architecture-based Radeon™ Pro Duo. 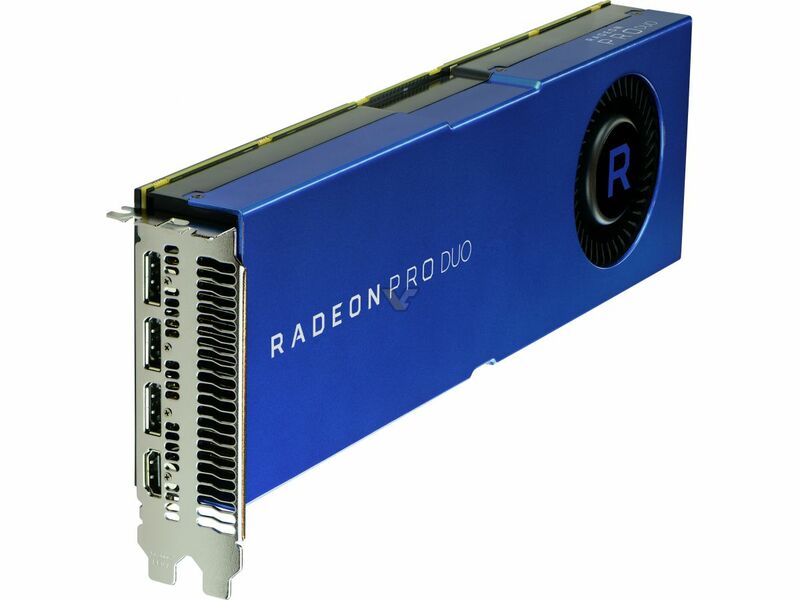 Built on the capabilities of the Radeon™ Pro WX 7100, the Radeon Pro Duo professional graphics card is designed to excel at media and entertainment, broadcast, and design and manufacturing workflows, delivering outstanding performance and superior flexibility that today’s creative professionals demand. The Radeon Pro Duo is equipped with 32GB of ultra-fast GDDR5 memory to handle larger data sets, more intricate 3D models, higher resolution videos, and complex assemblies with ease. Operating at a max power of 250W, the Radeon Pro Duo harnesses a total of 72 compute units (4608 stream processors) for a combined performance of up to 11.45 TFLOPS of single-precision compute performance on one board, and twice the geometry throughput of the Radeon™ Pro WX 7100.2 The Radeon Pro Duo enables professionals to work up to four 4K monitors at 60Hz, drive the latest 8K single monitor display at 30Hz using a single cable, or drive an 8K display at 60Hz using a dual cable solution. “Today’s professional workflows continue to increase in complexity, often demanding that creators switch between a wide variety of applications to progress their work, pausing efforts in one application while computing resources are focused on another. We designed the Radeon Pro Duo to eliminate those constraints, empowering professionals to multi-task without compromise, dedicating GPU resources where and how they need them. It’s a continuation of our promise for Radeon Pro: to provide greater choice in how professionals practice their craft, enabling superior multi-tasking, accelerated applications, and powerful solutions for advanced workloads like VR,” said Ogi Brkic, general manager, professional graphics, Radeon Technologies Group, AMD. The Radeon Pro Duo’s distinct dual-GPU design gives professionals the flexibility to divide and conquer their workloads, enabling smooth multi-tasking between applications by committing GPU resources to each. Professionals can maintain their creative momentum and get more done faster, allowing for a greater number of design iterations in the same time. “I was very impressed with the power of the Radeon Pro Duo, particularly in Nuke. The flexibility of being able to divide GPUs between tasks is phenomenal and represents the ultimate in multitasking: compositing a complex shot while jumping into a 3D application to create assets, exporting back to Nuke to keep compositing then switching to Photoshop or Mari and paint a projection, to load it back into Nuke and continue. The Radeon Pro Duo handles the general and varied tasks without missing a beat with excellent 3D performance. 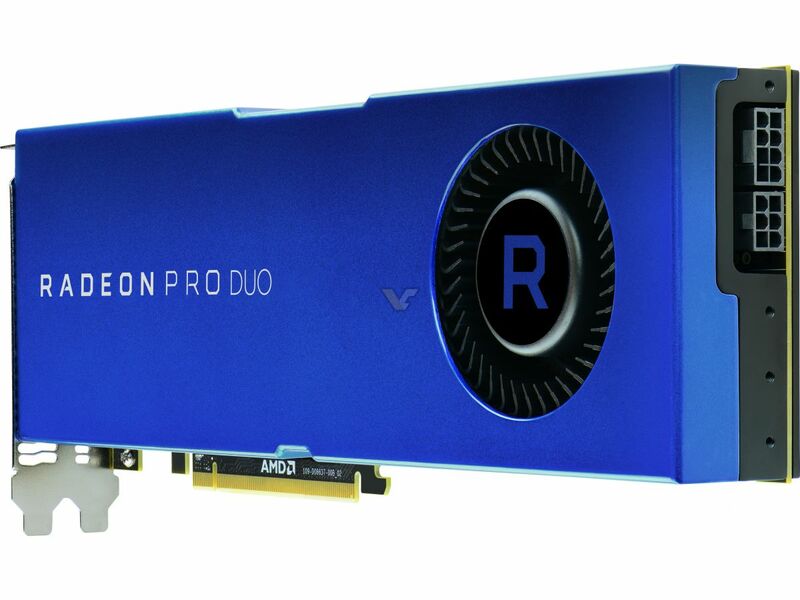 For the kind of projects I undertake as a generalist, the Radeon Pro Duo is a no-brainer. It does it all,” said Kynan Stephenson, freelance artist. The Radeon Pro Duo’s potent combination of performance and dual-GPU flexibility makes it the ideal solution for today’s advanced workloads, including professional VR content creation. VR represents a significant inflection point for the media and entertainment industry and is becoming more commonplace in today’s studios. Radeon Pro Duo professional graphics card leverages the power of two GPUs to render out separate images for each eye, increasing VR performance over single GPU solutions by up to 50% in the SteamVR test.4 AMD’s LiquidVR™ technologies are also supported by the industry’s leading real-time engines, including Unity and Unreal, to help ensure smooth, comfortable, and responsive VR experiences on Radeon Pro Duo. “In developing 4K 360 VR content, the biggest hurdle is the tech, because as an artist, I just want to create and not worry about limitations of the hardware. Faced with raw, un-optimized content, VR creators need a lot more horsepower than VR consumers. With the new Radeon Pro Duo, I have performance in spades. I immediately saw a speed difference of up to 2X, allowing me to push the boundaries of my projects without having to compromise on creativity or productivity,” said Jonathan Winbush, Founder & Creative Director, Winbush.tv. 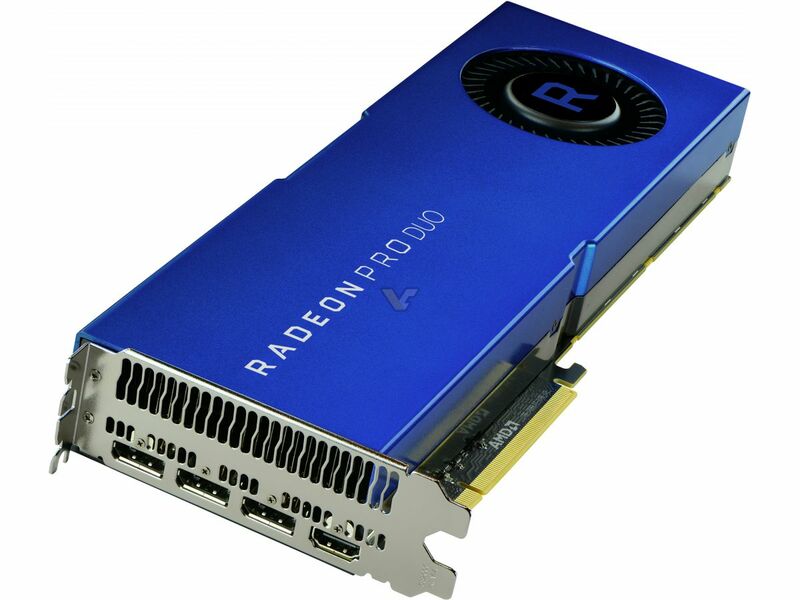 The Radeon™ Pro Duo is designed to meet the stringent requirements of workstation form factors, comes with 24/7 support5, and is bolstered by professional-grade software certified across leading applications for media, entertainment, CAD and engineering. Radeon™ Pro Software offers users unprecedented driver stability, quality and reliability, with quarterly updates for features, performance and stability. 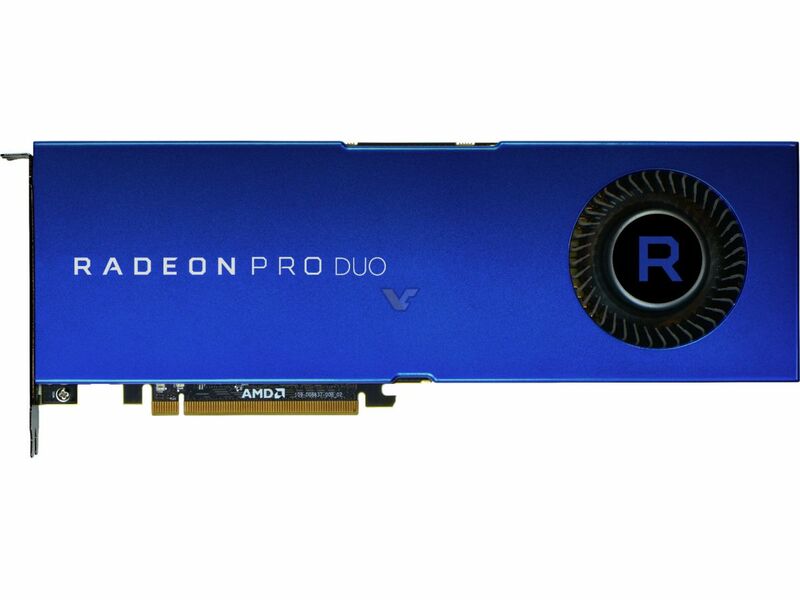 The Radeon Pro Duo’s planned availability is the end of May at an expected SEP of US$999. Demonstrations are available at the AMD booth at the Las Vegas Convention Center, South Lower Hall, #SL7620, and in the Studio Xperience booth, also in the South Lower Hall, #SL2424.